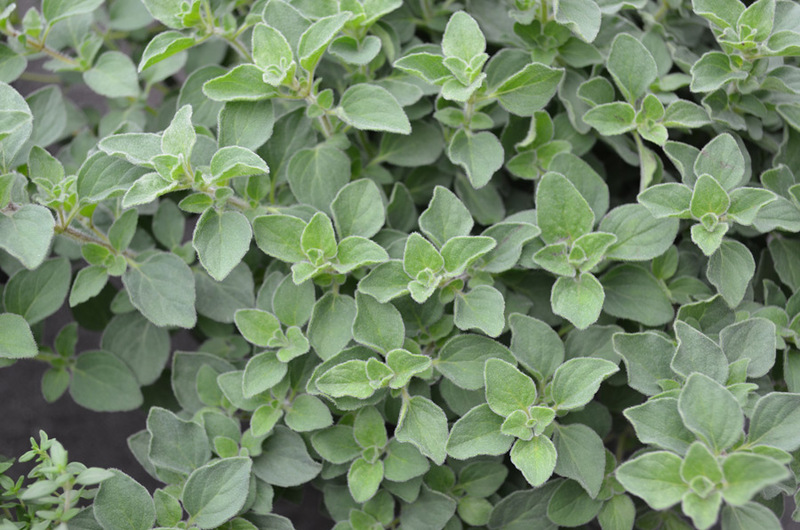 The intense aroma and unmistakable flavour of true oregano are invaluable for seasoning Italian dishes, roasted meat, and vegetables. 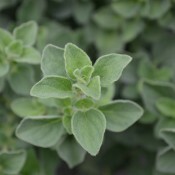 This robust aromatic can be grown in an herb garden or in containers. 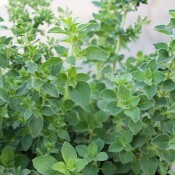 Oregano needs both excellent drainage and good air circulation to thrive; moderate fertilizer is sufficient. This hardy perennial is a bushy plant that has pinkish white, small flowers. 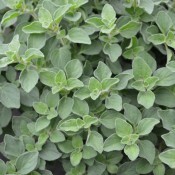 Oregano requires pruning frequently to encourage branching and delay flowering. Best used fresh, but can be dried. 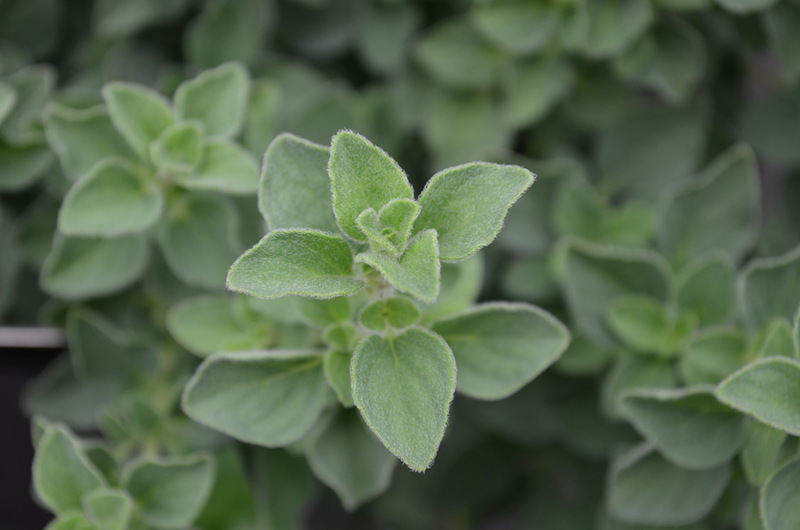 Oregano is fantastic at deterring cabbage moths and cucumber beetles making is an excellent companion to Brassicas and cucumbers. It also works well with asparagus and basil. Begin snipping lightly as soon as the plant is 6 inches (15cm) tall. The plants will flower in early summer. The optimal time to harvest leaves for drying is when the flower buds have set but are not yet open. Oregano is best used fresh. Wash and refrigerate the stems or store the stems in a jar of water at room temperature. To dry oregano, hang bunches of stems in a warm, dry place. 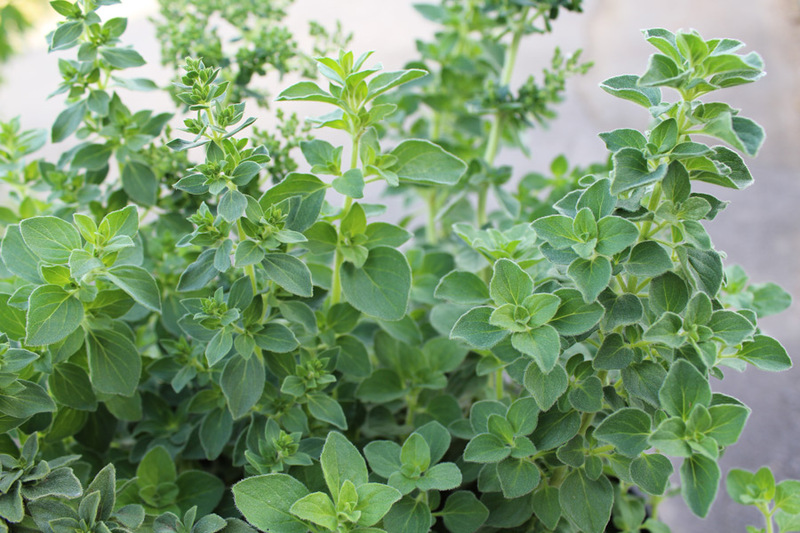 If possible, do not strip the leaves from the stems because oregano will last longer if you store the whole stem in a glass container in a dark place. Remove the leaves from stems just before using. Evenly moist; let the top inch of the soil dry out between watering.